Is your career robot-proof? At Empowerment Expert Academy our mission is to make you irreplaceable! We do that by teaching you the career skills and leadership skills that can't be replaced by technology. Our professional development courses empower you with the skills that are needed today and for the future as well. 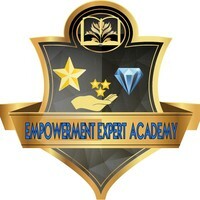 Empowerment Expert Academy's program developer is Louise Anne Maurice. As an International Empowerment Expert, Author and High-Level Trainer, Louise provides 72 business and career development courses on Udemy to over 16,000 businesses, success-minded individuals and entrepreneurs in 163 countries. Her online courses are empowerment-based solution-focused with a splash of fun, motivation and inspiration. Send us a message today and let us know what types of professional development and leadership training courses you need to robot-proof your career.